I was headed to an event at The Brooks Museum of Art to preview the newest exhibition (see my recap post HERE). The exhibit was displaying African prints, and I wanted to dress the part, but absolutely nothing would cooperate! Y’all just don’t know what my closet looked like to get to this look. I wanted to restyle this ankara print kimono, but I wasn’t feeling it. So this, one of my go-to looks, was an easy plan B (actually more like plan XYZ) when all else failed. I went with “tribal-inspired” gold accessories, and I pulled out the dark berry in the floral print for a punch of color on the lips and the bag. 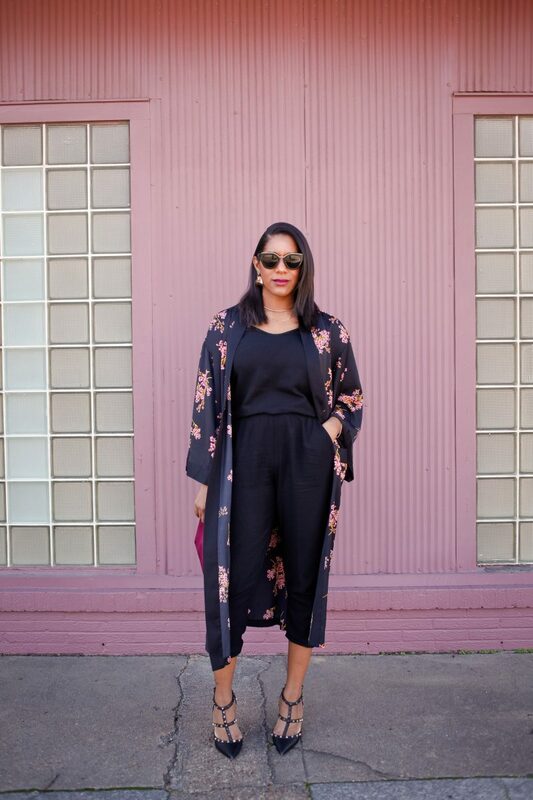 Black always wins and this jumpsuit-kimono combo was comfortable and perfect for a night at the museum. According to Q, when all else fails, go back to black! A black jumpsuit is an easy, chic option, and perfect for any occasion when other items your closet just won’t cooperate. 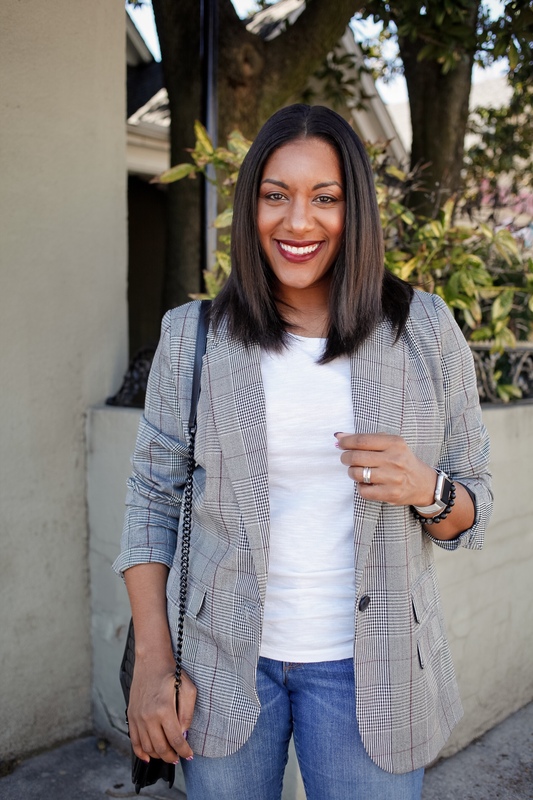 Add a kimono/duster, like I did, or a blazer with some cool accessories and you’ll be out of the door! Cheers to plan Bs & Zs that still slay! Previous Post A Night at the Museum | African-Print Fashion Now!